FULL DESCRIPTION This city centre apartment is located on one of Bath's most prestigious streets. 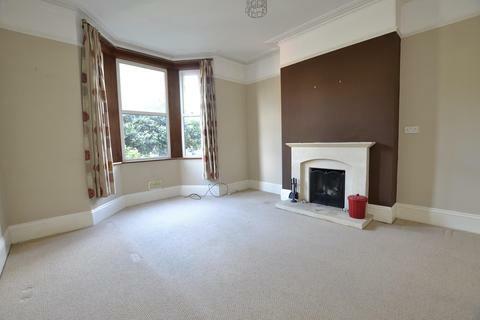 The property comprises: large sitting room/kitchen with space for dining, double bedroom and a modern bathroom. The property is situated a short level walk from the centre, where you will find shops, restaurants, theatres and historical venues such as the Roman Baths and Thermal Bath Spa. This property is located in a sought-after location with far reaching views over Henrietta park. We anticipate a high level of interest. Early viewing comes recommended. HALLWAY Sash window to rear elevation with northerly aspect, overlooking Henrietta Park. Electric radiator. Cupboard housing water tank. Shelving. Fusebox. Entry phone. Phone socket. SITTING ROOM/KITCHEN 18' 9" x 14' 5" (5.72m x 4.39m) Sash window to rear elevation with working shutters and northerly aspect, overlooking Henrietta Park. Electric radiator. Feature fireplace. TV point. Kitchen comprising: range of wall and base cupboards with worktops over, stainless steel sink with drainer. Washing machine. Fridge. Shelving. BEDROOM 9' 4" x 8' 9" (2.84m x 2.67m) Sash window to rear elevation with working shutters and northerly aspect, overlooking Henrietta Park. TV point. BATHROOM Modern white suite comprising: walk in shower with glass sliding screen, floating wash hand basin with mixer tap and draws below, low level WC. Large chrome heated towel rail which also heats the room. Spotlighting. Extractor. Shaver point. Property reference 102629003043. The information displayed about this property comprises a property advertisement. OnTheMarket.com makes no warranty as to the accuracy or completeness of the advertisement or any linked or associated information, and OnTheMarket.com has no control over the content. This property advertisement does not constitute property particulars. The information is provided and maintained by The Apartment Company - Bath. Please contact the selling agent directly to obtain any information which may be available under the terms of The Energy Performance of Buildings (Certificates and Inspections) (England and Wales) Regulations 2007 or the Home Report if in relation to a residential property in Scotland. 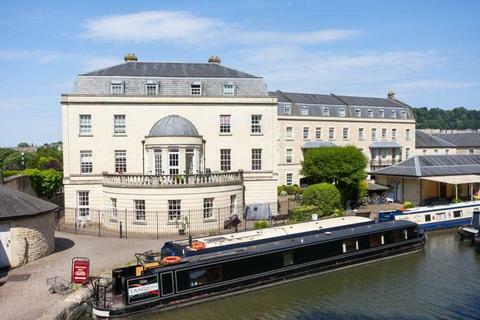 A very well positioned first floor flat within this popular McCarthy & Stone retirement development on the lower slopes of Bathwick Hill, being at the rear of the building with lovely views over the Kennet & Avon Canal and up Bathwick Hill. 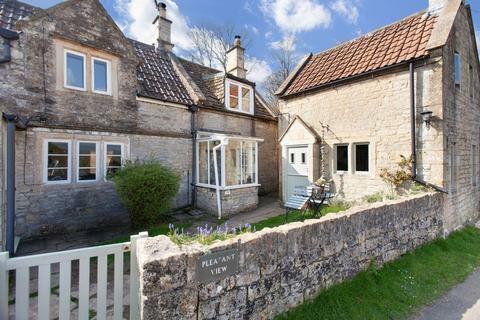 In need of updating and modernisation is this one one bedroom period home which is perfect for a HOLIDAY LET, BOLTHOLE OR BUY TO LET! Access can be gained via Pleasant View which is a no through road with parking where Pleasant View adjoins Doctors Hill. Very tastefully presented one double bedroom apartment situated on the first floor of this centrally located end of terrace Georgian townhouse with tall ceilings and sash windows in every room. Gas central heating and the great benefit of having a detached garage. An entertainers delight this fantastic garden flat will make you walk in and smile. Accommodation includes sitting room, kitchen/ breakfast room, double bedroom, bathroom, lovely garden and off street parking.